Abu Dhabi: The Abu Dhabi Fund for Development (ADFD), the leading national entity for international development aid, has financed hundreds of development projects in the renewable energy sector around the world worth Dh4.4 billion from its inception in 1971 to December 2018. Driving the objectives of the United Nations’ Sustainable Development Goals (SDGs), these projects have contributed to the production of about 2,584 megawatts (MW) of renewable energy in different countries, said an ADFD press release issued on Saturday. Since 1974, ADFD has contributed to financing about Dh2.7 billion in renewable energy projects through joint financing agreements with the governments of many developing countries. The remaining funds were allocated through several other innovative and strategic partnerships. They include the seven-cycle Dh1.285 billion International Renewable Energy Agency (Irena) — ADFD Project Facility, the Dh184 million UAE-Caribbean Renewable Energy Fund (UAE-CREF), as well as the UAE-Pacific Partnership Fund (UAE-PPF) valued at Dh183.5 million. Mohammad Saif Al Suwaidi, director-general of ADFD, said: “Abu Dhabi Fund for Development believes in the vital role the renewable energy sector plays in attaining the sustainable development goals in developing countries. 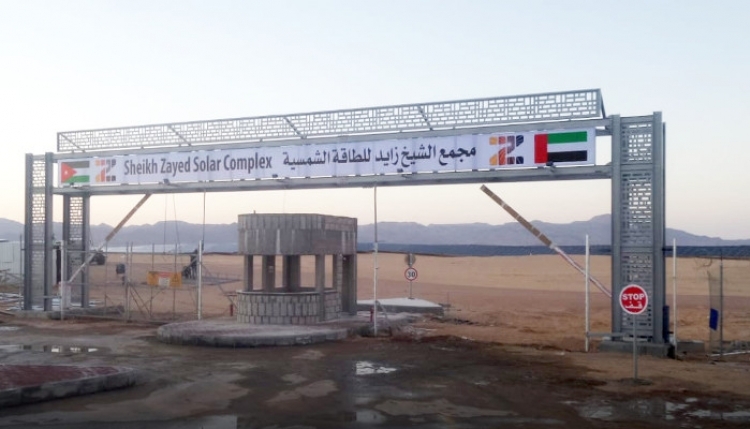 ADFD contributed Dh550 million to funding the Shaikh Zayed Solar Power Complex involving the installation of 328,320 photovoltaic (PV) panels that will produce 227 gigawatt hour (GWh) of solar power annually over a period of 20 years, enough to illuminate about 50,000 homes. ADFD allocated a Dh330 million concessionary loan and contributed to the construction of the Upper Atbara and Setit Dam Complex in Eastern Sudan. With a storage capacity of 2.7 billion cubic metres of water, the twin dams provide the hydroelectric power plant with enough power to generate 320 megawatts of electricity. ADFD provided Dh735 million for the construction of the Merowe Dam in north Sudan. One of the largest hydropower projects in Africa and the second major hydropower project in Sudan, this strategic project helps the country fill its power deficit by producing electricity totalling 1,250 megawatts — benefiting more than 30 million people. ADFD allocated a Dh121 million concessionary loan for the development of a waste-to-energy facility in Sharjah. Expected to treat more than 300,000 tonnes of municipal solid waste each year, or 37.5 tonnes per hour, the plant will have the capacity to generate around 30 megawatts of energy. Due for completion by early 2021, the facility aims to help attain Sharjah’s zero-waste-to-landfill target and the UAE’s objective of diverting 75 per cent of its municipal solid waste from landfills by 2021. In the Republic of Seychelles, ADFD allocated Dh103 million to produce clean electricity using wind turbine technology. Diesel-powered electrical power plants were replaced with wind power. This project included the supply, installation and activation of wind turbine farms for electric power generation in several different areas of the island of Mahé. In 2013, ADFD committed Dh1.285 billion over seven funding cycles for the Irena/ADFD Project Facility. After the announcement of the sixth funding cycle in January 2019, the cumulative funding to date is Dh899 million. Since the selection of projects for the first cycle in 2014, ADFD’s funding has benefited 24 renewable energy projects in 23 countries, covering up to 50 per cent of the total project costs. They will bring more than 157 megawatts of renewable energy capacity online and create electricity access for over seven million people. UAE-CREF aims to deploy renewable energy projects with a capacity of 11MW in 16 Caribbean countries to help reduce reliance on fossil fuel imports, stimulate economic activity and enhance climate change resilience. At Abu Dhabi Sustainability Week 2019, the third cycle of the Dh184 million UAE-Caribbean Renewable Energy Fund (CREF), was allocated to projects delivered in Jamaica, Cuba, Suriname, Trinidad & Tobago. ADFD earmarked Dh183.5 million in funding to the UAE-Pacific Partnership Fund (UAE-PPF), a pillar of the UAE’s wider strategy to support sustainable development projects around the globe through the deployment of renewable energy, with the supervision of the UAE’s Ministry of Foreign Affairs and International Cooperation. Abu Dhabi Future Energy Company, Masdar was appointed to develop and implement renewable energy projects in 11 countries under UAE-PPF.